Apple's event is still a few minutes off, but the company is already showing off the first new product: its Apple Park campus. Known during its years of construction as "the spaceship," today's event is the first public look at the new 175-acre corporate campus. 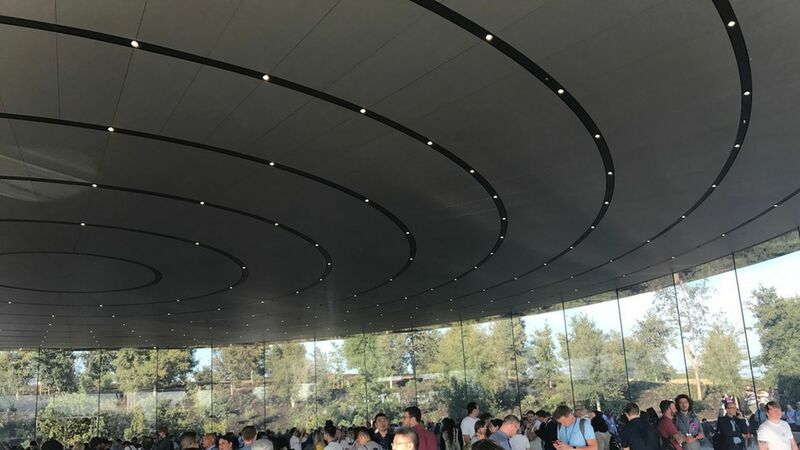 Media and guests are in the Steve Jobs Theater at the visitor's center that sits just outside the ring-shaped, 2.8 million-square-foot main building. For a more complete look at what's inside that part of the campus, here's the big feature Wired's Steven Levy did earlier this year. The bottom line: There is a lot of glass here. And it's so pristine that one guest cut his eye open by walking into one of the glass walls as he exited the restroom. Read on for a few more pictures and, for coverage of the on-stage product launches, check out our live coverage starting around 10 a.m. PT.